GEORGIA PEACH!!! 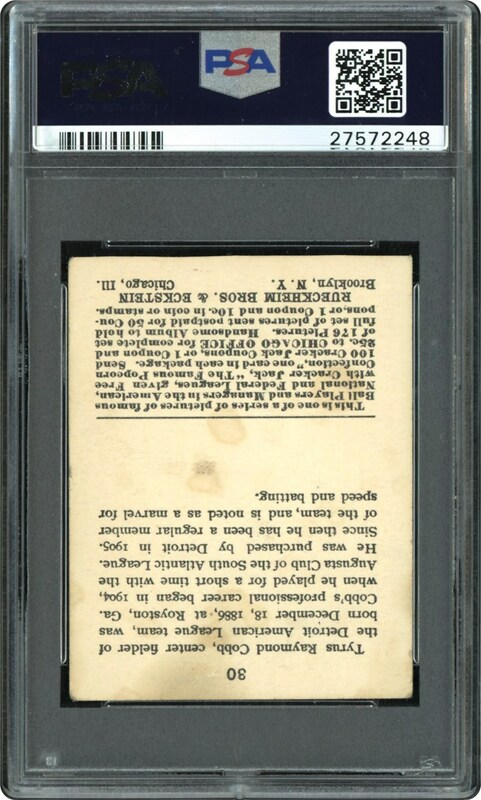 One to own and cherish, this Ty Cobb card from the 1915 Cracker Jack's series portrays as a VG+ specimen. 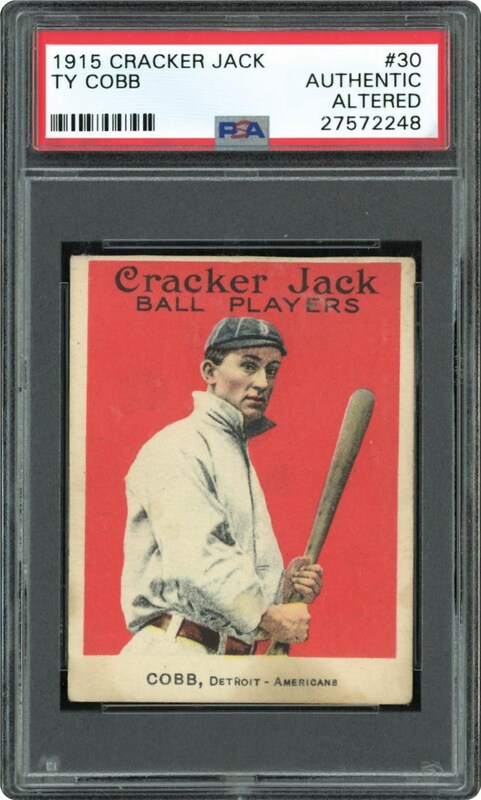 One of the key cards from the popular and attractive 1915 Cracker Jack Series. A gorgeous image of a reposed Ty Cobb contemplating his next act of entropy while standing ready to club another record setting base hit for his Detroit Tigers. Graded Authentic Altered by PSA, this card didn't measure within PSA's guidelines. A Cobb classic for any collection!! !